The Beach may have given SE Asia’s beaches a bad name (by the way the book is far superior than the crappy Leo movie, which is usually true of any book made into a movie, but in this case it’s just more true) but I can assure you that you’re more likely going to run into the beach of your dreams before you run into any self-exiled groups of deranged backpackers who spend their days taking hallucinogens and killing off their fellow villagers (although it’s a big region, you never know). This article describes some of the area’s most idyllic getaways in the region, from Thailand to Vietnam. It notes how Vietnam, with a population that’s half under-25 (that’s around 40 million), is really taking off as a major destination in the world, and many are heading to the pristine white sands of China Beach to enjoy surfing and to stretch their strong currency. 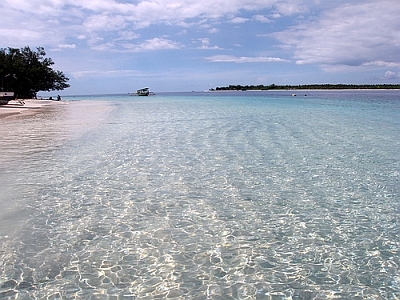 To get away from the crowds head to isolated Gili Trawangan in Indonesia where cars are forbidden, snorkeling is aplenty, and given the hippyish vibe here you may run into that long-lost English teacher you had in high school who used to listen to the Dead and drove a beat-up station wagon. And for a whole string of beaches and a little more development there’s Sihanoukville, Cambodia’s most popular getaway. Here you’ll find many beaches to explore as well as dozens of islands nearby to keep you occupied just in case you get really bored of relaxing and having a good time.